There was a time, not long ago, when ‘independent’ was the new hype. During the late-1990s/early 2000s, everything needed to be independent or indie to be cool, almost hipster. Labels, bands and venues competed to be or look like as independent as possible. Unfortunately, very few of those (so-called) independent acts were truly free and even fewer has kept up their freewheeling and autonomous nature until today. One of those few examples is represented by a London-based label which celebrates its 15th anniversary and 100th album this year. 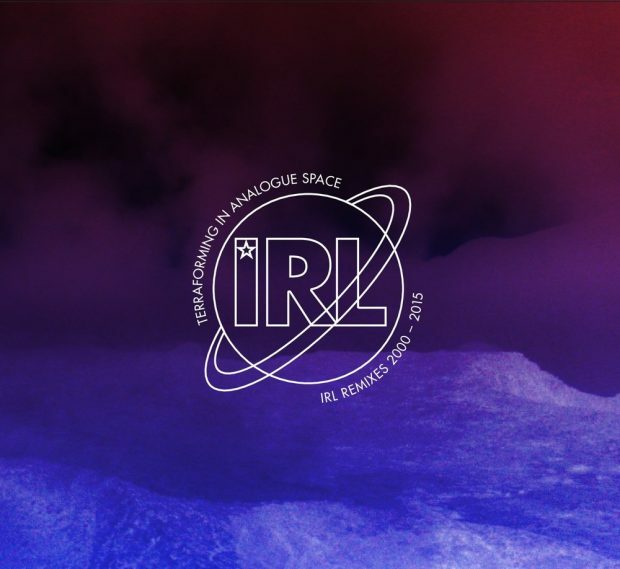 IRL was founded in 2002 by Tom Haxell and David Jaymes and debuted two albums in the following years. Since then, IRL hasn’t stopped for a second to do justice to its acronym: Independent Records Ltd.
We seized the celebratory moment (which also coincides with the release of Terraforming in Analogue Space double CD with some of the label’s “greatest hits” and their remixes) and had a Q&A with Tom Haxell, one of the two masterminds behind what was defined as the “the biggest little indie label in the world”. Rhythm Passport: 15 years and 100 releases are numbers you can hardly “improvise”. Can you tell us a bit about IRL’s trajectory? How, when and why did you decide to establish a music label and how do you feel about it 15 years later? Tom Haxell: It really all started when we were just a management company, representing producers and artists. 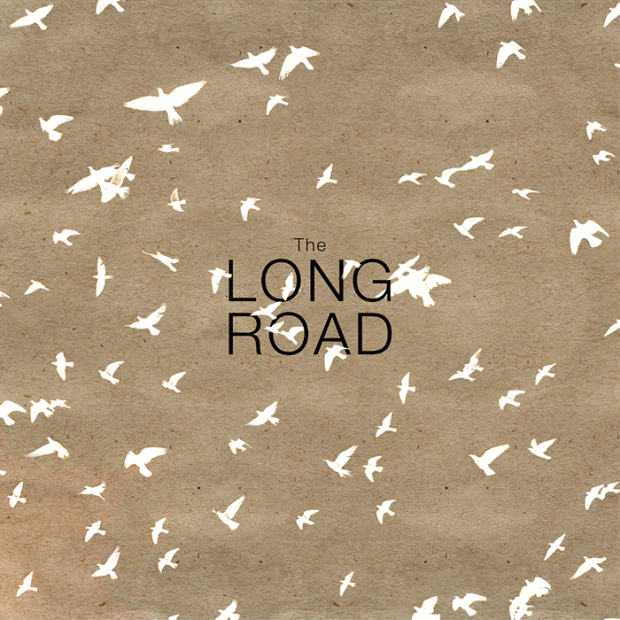 One of those was Justin Adams who asked if we’d be interested in releasing his debut Desert Road with him. Together with Justin we formed Wayward Records/IRL and learned as we went along. Shortly afterwards Justin handed us a DAT of an album he’d recorded and suggested Wayward release it too. 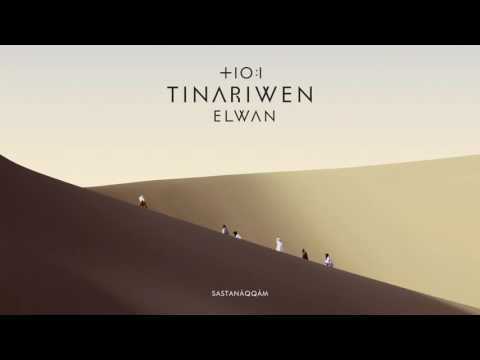 The album was The Radio Tisdas Sessions, the band was Tinariwen. It was difficult to get the albums to the ‘right’ people at first. A lot of people couldn’t understand why we were setting up a label to put these records out. It was at a time when ‘world music’ wasn’t so mainstream, it wasn’t easy getting partners on board to distribute/promote it at first. But it was worth the effort. The major labels were cutting budgets and jobs and offering worse and worse deals to artists so it seemed an almost natural progression to build the label. A lot of the artists on our management roster signed to the label and in a very short amount of time we had released albums by Sinead O’Connor, Sharon Shannon, Damien Dempsey, The Wonder Stuff, the highly acclaimed Festival Au Desert to name but a few. We had to learn very quickly but the trajectory seemed very natural and although we were extremely busy all the time I don’t think we ever stopped to take stock over what we’d done and talk about it. We’re partners with everyone we sign and they would bring other artists onto the label. IRL was never something we planned on creating it was just born from this small musical family which just grew. We’re all very proud of what we’ve achieved and still get a buzz out of the smallest radio play or review. I think we’ve always remained quite humble and definitely respected the artists’ integrity – I believe that’s one of the main things that has kept us going all these years. RP: During the last two decades, I’ve read many, many times that “music labels have their days numbered”. Even so, IRL is livelier than ever. Can you identify the reasons or reveal us the secret behind your success and longevity? TH: We’ve never chased after commercial success or that big pot of gold, and I think that’s what has kept us grounded and able to continue. There’s never been a CEO demanding we double the sales by next quarter. We never burnt ourselves out demanding that chart position or that A-list radio play. It sounds cheesy but it’s always been about the music, keeping artistic integrity and remaining loyal and true to the fans. RP: They have rightfully defined you as “The biggest little indie label in the world”. What does it mean and how difficult is to be independent today? TH: We’re quite reserved people and don’t shout about the label, of course, we think it’s great that’s why we’re here. But we don’t need to be telling everyone about how great Independent Records Ltd is. It’s not about us, it’s about the artists on the label. I think that’s why we’re referred to as the ‘little indie’. ‘The biggest’ I’m sure is in reference to our big catalogue for an independent label. I can’t remember who originally said that, but we do like that quote a lot. Being independent is tough, as I’m sure it is in any industry. The major labels have so much sewn up that indies really do have to work so much harder to break down doors. Some TV and radio stations have their own policies and agendas that make it almost impossible for the independents to get their voices heard. We’ve been lucky to have some big artists that help to open doors but over the past 10 years, the industry has really changed for better and worse. RP: What are your feelings about the UK and global music scene today? Many things have changed since 2000, but which are the most significant? TH: There’s some very exciting music being made right now. It’s definitely an exciting time for all genres. With the closure of so many venues over the past few years and many promoters being forced to take less ‘risks’ over ‘getting bums on seats’ it has been harder for smaller bands to go out and get shows. On the flip side, the Grime scene has been thriving off this for years with many artists making and building their own shows without much support. By the time ‘grime’ hit the ‘mainstream’ a lot of the artists already had a huge fanbase. The most significant change since 2000 is how people listen to music now. Streaming is obviously one of the main ways music is listened to now and the return is very low, compared to that of an album sale in 2000. Music is a lot more disposable, but it’s good that it is always just a click away. Finding and sharing new music is easier and people seem to be more open to check out a band they would never have done before. I believe people are a lot less ‘genre lead’ these days. When I was growing up you didn’t listen to grunge as well pop, it simply wasn’t allowed. With so much music so widely accessible now it’s the norm to see a mixture of genres in anyone’s record collection. ‘Guilty pleasures’ don’t seem so ‘guilty’ as they did back then. In the early 2000s there weren’t many teenagers going to see ‘world’ music, only in the past 10 years have I seen a real growth in indie/pop/rock kids exploring the ‘world’ genre. RP: Why have you always chosen to linger on the border between styles and definitions, specialising your label in eclecticism? TH: It was never planned to be that way, with the management company the rule was if you loved the artist and the music you worked it. If you couldn’t bear the thought of sitting next to the artist on a plan for 12 hours, we wouldn’t sign them. It was the same thing with the record company. We only signed people we liked. In all honesty, although we obviously had to like the music, it was more about the artist themselves as people. Hence why we really are one big family split across the globe. Everyone at IRL had very varying tastes in music but it works, there weren’t any rules on what type of music was signed hence the eclectic roster. Sometimes I think it would have been easier and more defined to stick to one type of music but it’s nice to have such a diverse catalogue. RP: Next to being a music label, IRL also offers artists management, event bookings and publishing services. Is diversification and branching the only way to survive in the current day’s music market? TH: I don’t think it’s the only way to survive, but for us it certainly it made sense. We started with the management company which naturally progressed into doing a fair amount of gig booking so after a few years it became obvious to start an agency as well. Publishing and the label followed. Not all the artists on IRL are on our agency or management or publishing. We can be a one-stop shop or pick and mix. RP: This is quite a tricky question… Is there an artist/band, project or release that you consider more meaningful or decisive in IRL history? TH: It’s very hard to nail down one. So many artists have played a really big part in IRL’s history and we’re proud to have had so many brilliant releases. This album Terraforming In Analogue Space – IRL Remixes 2000 – 2015 I think is one of our most important, as so many artists/producers not on our roster have worked on it out of respect for the label and what we stand for. When Nick Page came to us with the idea of putting together a remix album we were flattered and thought it would be a good record, but we’d never imagined or realised just how much support and goodwill was out there for IRL from all these other great artists and producers. Other records that have felt like landmarks in our history for various reasons would be Justin Adams’ Desert Road, Tinariwen’s Amassakoul, The Wonder Stuff’s Suspended By Stars & 30 Goes Around The Sun, Damien Dempsey’s Seize The Day, Malawi Mouse Boys‘ He Is #1 and their debut performance at WOMAD, Justin Adams & Juldeh Camara’s Soul Science… The list goes on and on. There’s also The Wonder Stuff Diaries – ’86 to ’89 book we released in 2014. That was our first book release and was a quick learning curve just like when we started the label. RP: Is there any artist/band that you have never produced, but always and deeply desired to work with? TH: There are so many bands we’d love to work with, but I think we’re more than happy with the ones we got. RP: About your forthcoming release Terraforming In Analogue Space, it’s quite a challenging and intriguing project, starting with its title. What’s the concept behind it and how was to look back at IRL history and productions and choose 15 tracks? TH: Full credit has to be given to Nick Page, AKA Dubulah, the entire project was his idea and he saw it through from the start. He’s worked tirelessly on it for nearly two years, without him it wouldn’t have seen the light of day. We jumped at the chance when he suggested it and I sent him a huge pile of CDs to work through picking out which tracks to include. The concept was to send out these songs and give the producers totally free reign to interpret them how they chose. Again, there were no rules… and true to IRL form we’ve ended up with a few different genres on the record. Bernard O’Neill has also been a big factor on this release and coming in on the project earlier in the year. It couldn’t have been done without either of them. RP: What can you tell us about the first CD (the Remixes)? How did you choose the DJs and producers? RP: Since the first 15 years were so intense… What are your plans for the next 15 years of IRL? TH: We hope to be able to persuade Nick to curate another remix album, especially as we’ll be releasing the Reaktion catalogue which boasts a huge wealth of talent. With such a big Irish roster maybe we can twist his arm into a folk remix record too. Acholi Machon’s new album will be out at the end of the year. The Wonder Stuff’s Miles Hunt & Erica Nockalls will be releasing and touring. A couple of new acts are on the horizon. One thing for sure, we won’t be slowing down anytime soon. Although a few changes are afoot, Good Deeds Music will be taking care of the administration of a lot of the IRL titles as well as seeking out new projects and adventures.